A host of concerts, comedy gigs and other live performances are being axed or altered this week due to England’s World Cup semi-final against Croatia. 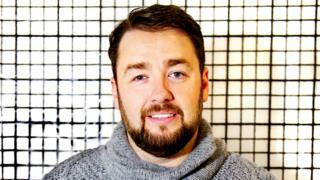 Comics Jason Manford and Chris Ramsay have postponed Wednesday’s shows in Stevenage and Ulverston respectively. Justin Timberlake will screen the game before his concert at the O2 in London, while All Saints will wait for the game to finish before beginning theirs. “I heard there’s a big game on tomorrow before our show,” Timberlake wrote. In their own Twitter message, All Saints said they would be on stage at the Electric Brixton in south London at 21:30 BST. “We couldn’t let you miss the #WorldCup now, could we?” said the girl group, who are using the event to launch their new album Testament. Manford took to social media to inform fans he would “bow under the weight of an expectant and hopeful nation” and postpone his appearance. His concert at the Gordon Craig Theatre in Stevenage, Hertfordshire, had already been put back once due to bad weather when the “Beast from the East” hit the UK in March. Ramsay, meanwhile, said his gig in Ulverston in Cumbria would be postponed until 19 September “due to the fact that it’s blatantly coming home”. My gig in ULVERSTON on WEDNESDAY is being postponed until September 19th… due to the fact that it’s blatantly coming home! All tickets will be valid for the new date. Apologies for any inconvenience! 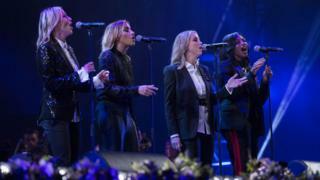 Elsewhere, organisers of the Kew the Music festival in south-west London said they would display the score in various places while the Gipsy Kings perform. Free screenings of the game will be held in London’s Hyde Park, the Castlefield Bowl in Manchester, the Pier Head in Liverpool and select Picturehouse Cinemas, among other places. But screenings in Middlesbrough’s Centre Square have been axed due to “outbreaks of disorder” during a showing of England’s quarter-final against Sweden. Football fever has also found its way into the Eggheads studio, from where host Jeremy Vine posted this cheeky message. And World Cup fever has definitely caught on backstage at London’s Victoria Palace Theatre, at least if this impromptu performance from the cast of Hamilton is anything to go by.